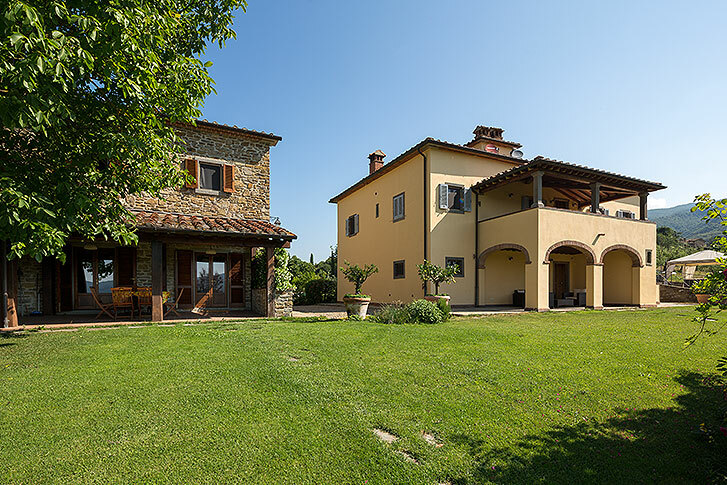 Deluxe Tuscan manor house located inside a family managed large farm with stunning views. 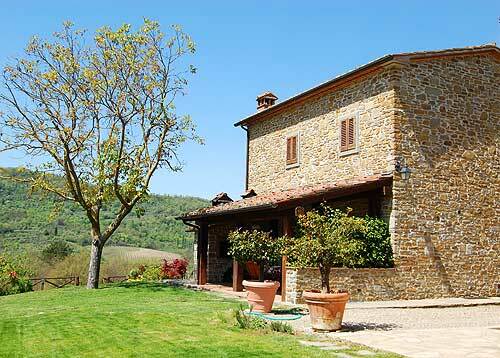 Easy day-trips into Florence, Arezzo, Cortona and Perugia. 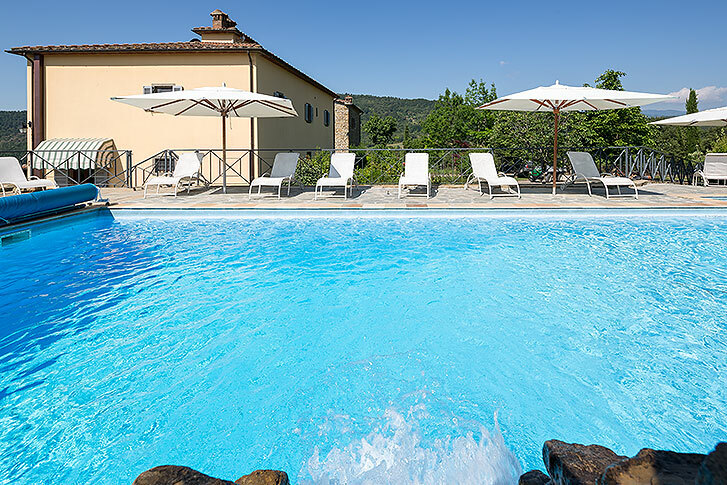 This luxury manor house is located in a private large park of a local family Tuscan farm, the villa is completely surrounded by olive groves and offers breathtaking panoramic views. 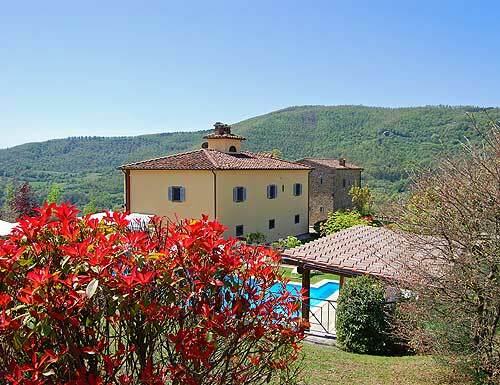 The place is within a short distance from a typical Tuscan village, in the hilly area between FLORENCE and AREZZO called Casentino. The nature here is really lush and green, there is a National Park where to go for a hiking and many other activities. 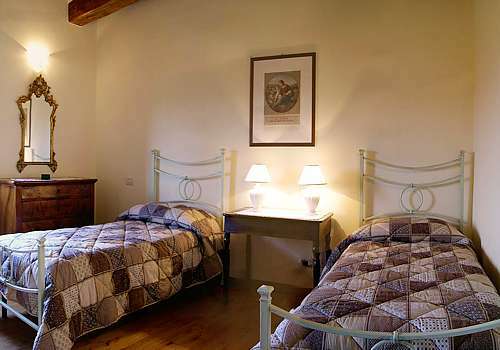 Day trips around the villages, medieval hamlets and monasteries make of this an amazing vacation rental. 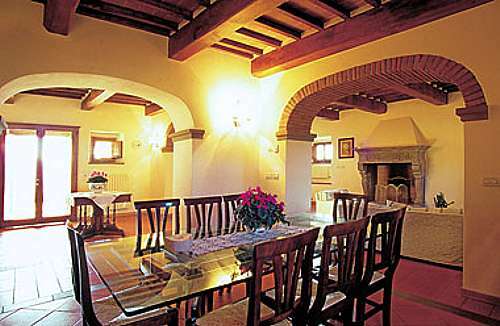 The villa includes a manor house and an adjacent annex holding up to 14 people. Gran Vista, the main Villa, offers 340 square meters of living space divided into 5 bedrooms, 5 bathrooms, living and dining room, kitchen, covered and uncovered terraces and study within its two floors. 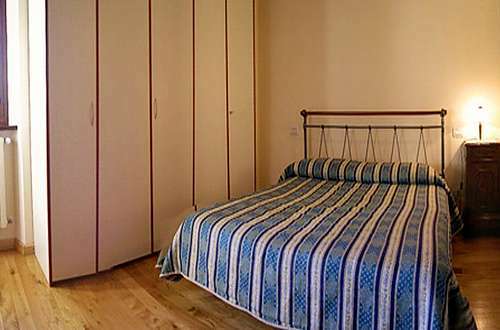 Plus the annex offers 120 square meters of comfortable living space divided in two floors, including a living / dining space, kitchen, 2 bedrooms and 2 bathrooms. 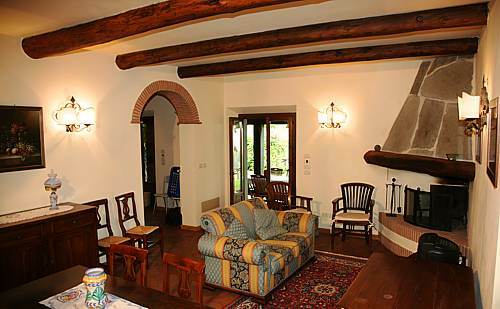 The villa’s ground floor is composed of an access room that opens to a living room, a dining room and a sitting room with an open fireplace. 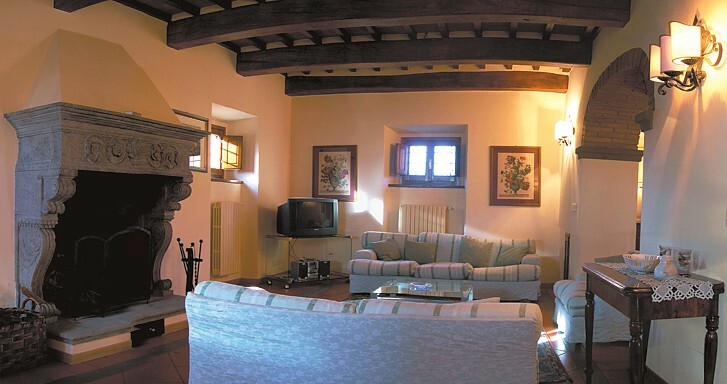 The villa is equipped with SAT-TV and telephone line (paid on site if used to make external calls). 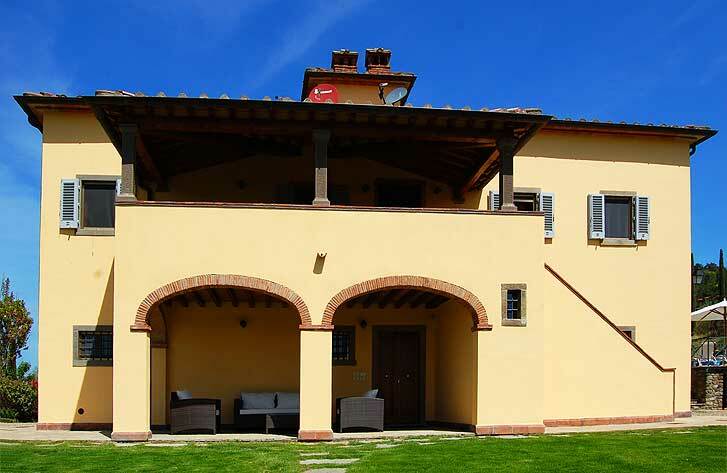 The villa has passed through a great restoration respecting the antique style of Tuscan manor houses. 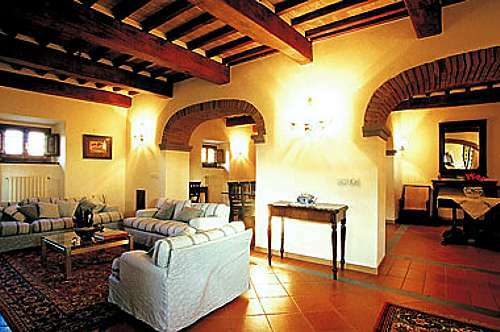 The wooden beamed ceilings, the bricked floors and archways, the decoration and finishing touches reflect the careful work that was done with taste and style in every detail. The furniture has been tastefully selected mixing comfortable modern sofas and armchairs with pieces of antiques and typical handicrafts. The dining room offers enough place for the whole group to seat and have meals together. 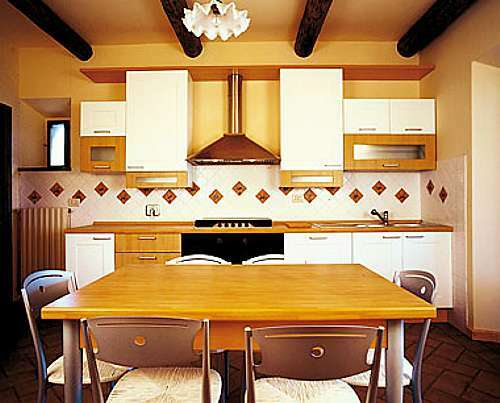 The kitchen is fully equipped with everything necessary for the preparation of delicious Tuscan menus (you can do it by yourself, or ask to have a chef who comes in and prepares everything for your group – this is an extra service that can be asked for at the moment of the reservation and will be paid extra directly on site). In the kitchen you find a large refrigerator with freezer, stove, oven, dishwasher, microwave, all necessary cookware and tableware. 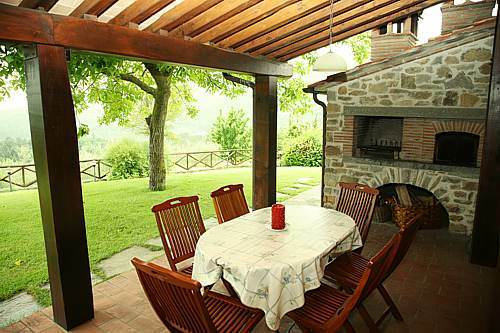 Outdoors you will find a fixed barbecue and a wood burning stove where to cook a delicious “Fiorentina” steak or a great Italian pizza. 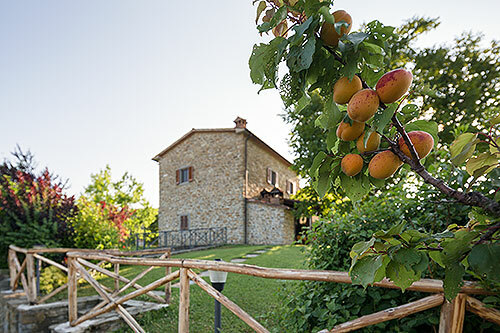 The outdoor area is equipped with tables and chairs for meals “al fresco” and you have uncovered areas in the garden as well as a covered area under the comfortable loggia. 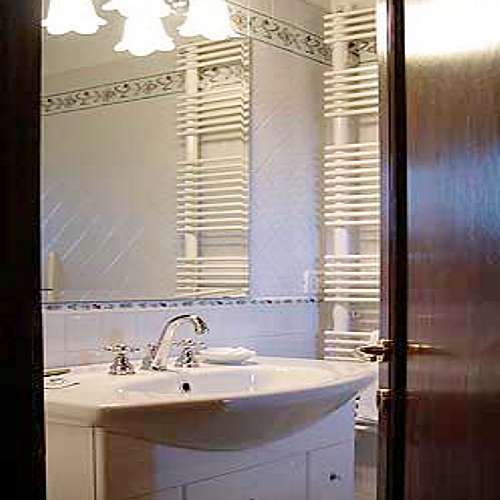 On the ground floor there is a very convenient twin bedroom and a full bathroom equipped with a shower box, WC, bidet, sink and mirror. 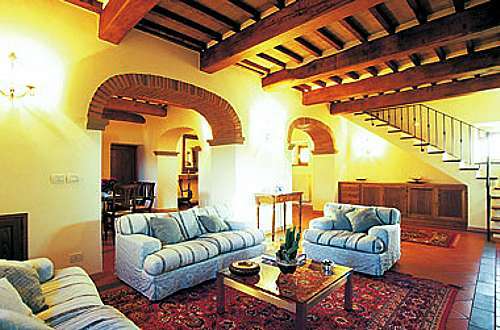 The wooden staircase leads to the first floor where there are located the remaining bedrooms and bathrooms of the villa. 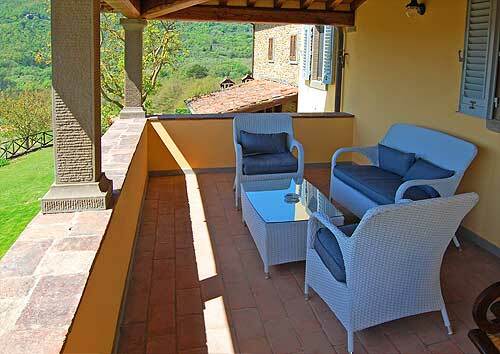 On the first floor there is a furnished covered terrace for moments of relax. 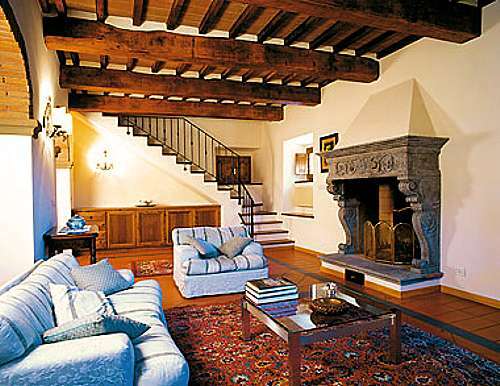 An access room with an open fireplace leads to a study and the bedrooms. 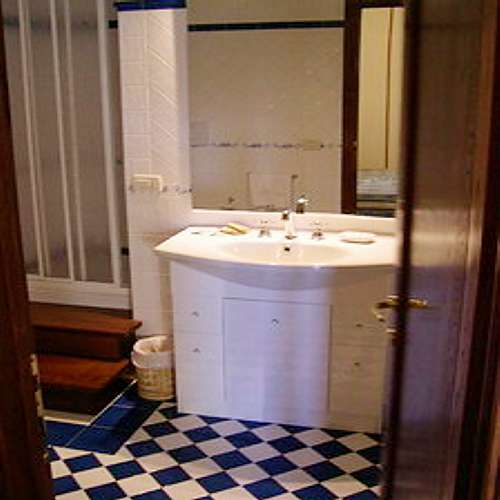 Two double bedrooms with en-suite bathrooms, each one equipped with shower box, WC; sink and bidet. 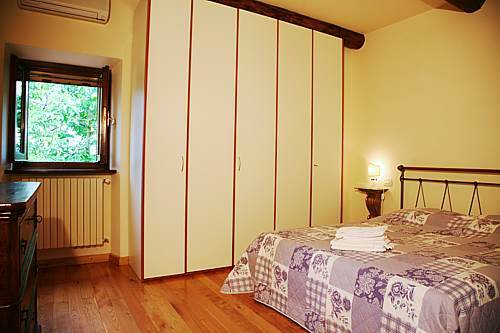 Two twin bedrooms each one with its private bathroom equipped with shower box, WC; sink and bidet. 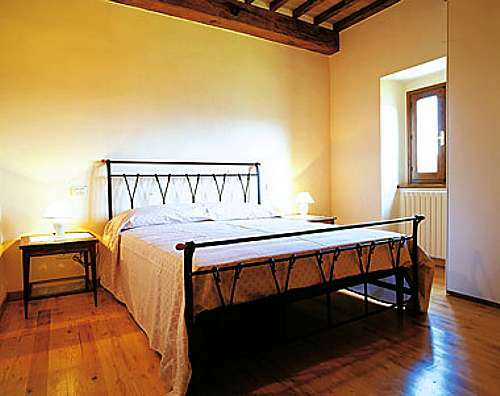 The dependence is the ex-hayloft made of local stones with thick walls, renovated into a cosy cottage. 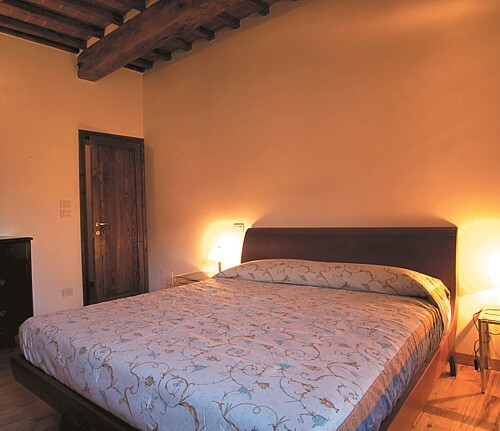 The dependence has two floors and can be accessed through a charming loggia (covered terrace). 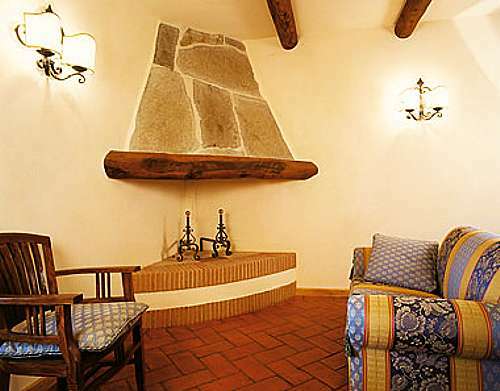 The ground floor holds a living / dining room with an open fireplace, a fully equipped kitchen and a guest toilette. 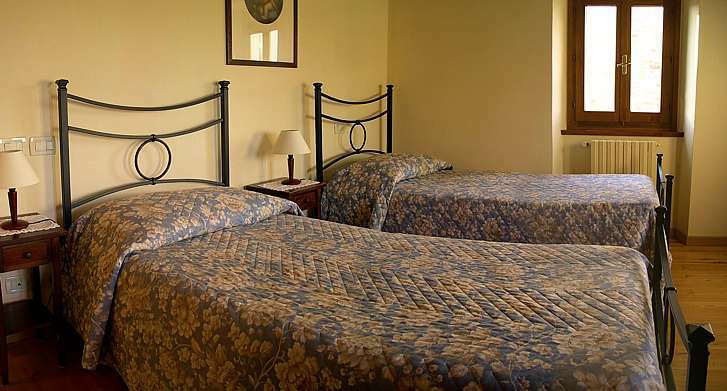 On the first floor there is a double bedroom (the only one which is air-conditioned). 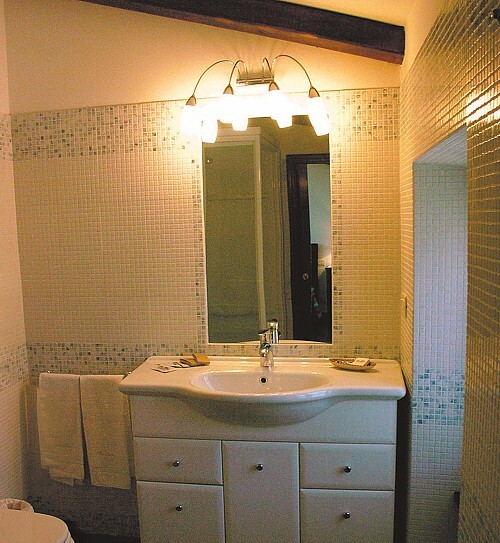 The double bedroom has its own en-suite bathroom equipped with a hydro massage tub and a shower box, WC, bidet and sink. 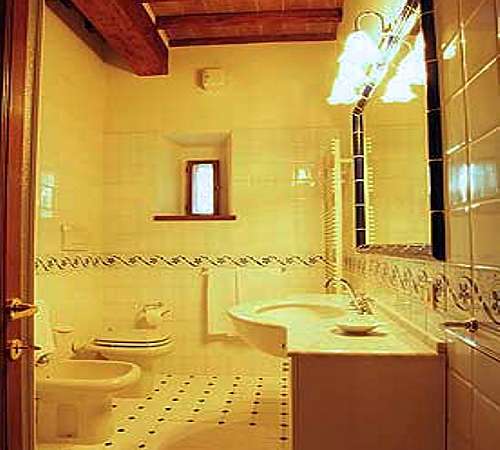 In the opposite side you have a twin bedroom (each one is a French bed – 1,20 meters wide) and en-suite bathroom with shower, sink, WC and bidet. The external area is immersed in a large park of 12000 square meters all fenced in. 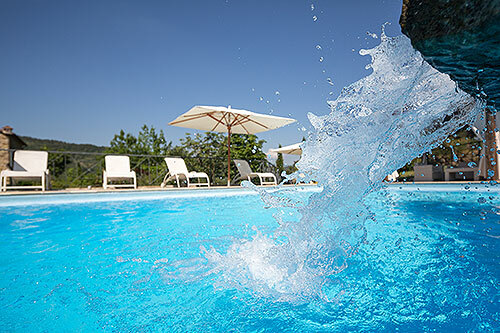 The park offers a large private swimming pool (12 x 6 meters) equipped with umbrellas and sun lounges all around it. There is a covered gazebo by the pool and an equipped area for outdoor meals. 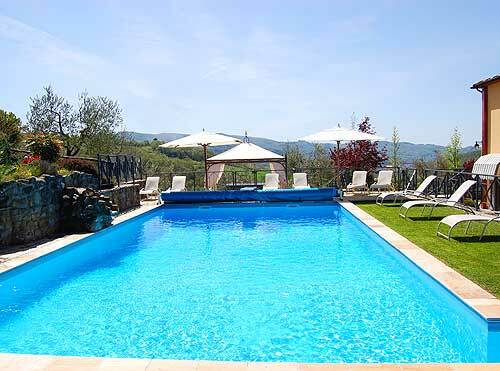 A tennis court is available for free use of the guests, only 200 meters from the villa in the owner’s property. There are 12 hours of maid service per week included in rental price and clients can request for extra services, like a chef who comes in the villa to cook for your group, breakfasts or cooking lessons in the villa (paid extra on site). 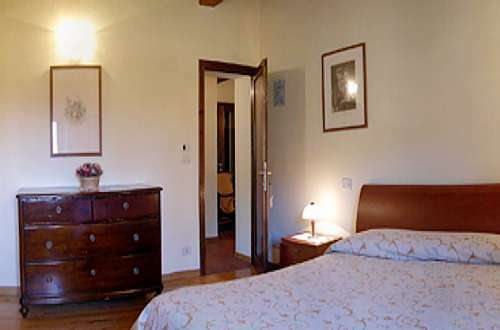 The villa is only 4km from the village of Subbiano, where you will find excellent restaurants, shops, all kind of services and a train station that connects the town with Arezzo. 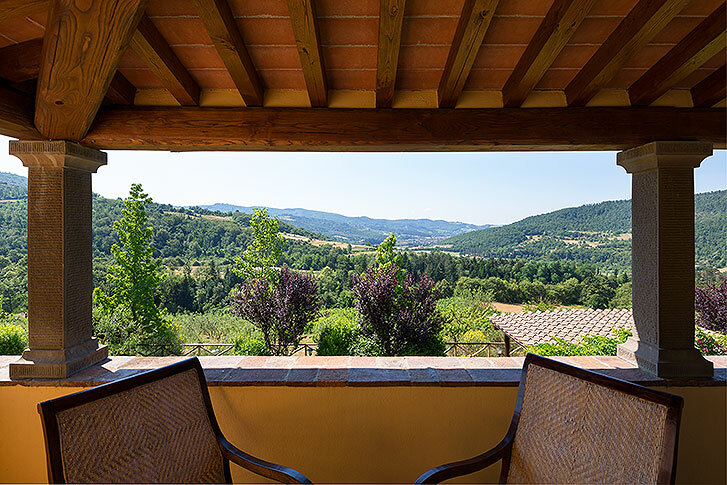 The villa is strategically positioned for beautiful day-trips in Tuscany and Umbria: Arezzo, Florence, Cortona, Perugia, and much more within 1 hour drive. 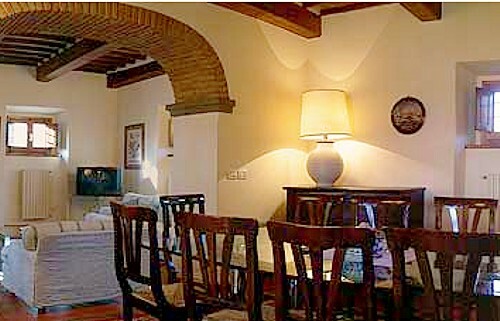 A golf course is distant only 15 km from the villa. 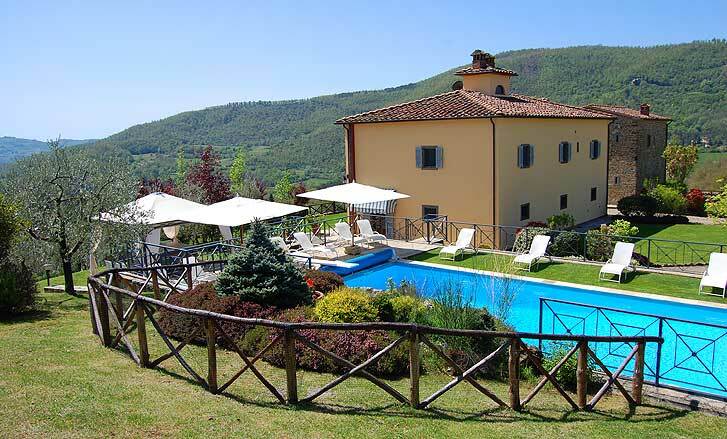 NOTE: This villa can be rented for a group of 10 people; in this case the dependance will remain closed and will not be given to anyone else. The reservation for a group of max. 10 people will have a reduction on the price (see prices at the bottom). 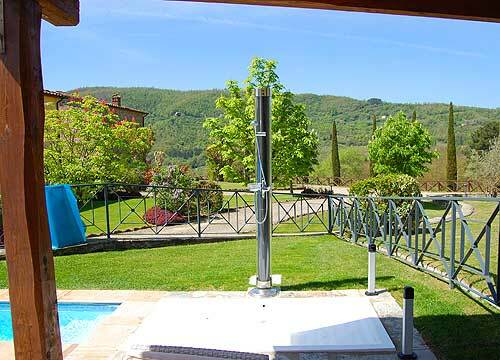 Close to the pool area there is also a JACUZZI for up to 5 people with breathtaking views down the valley. Dear Valentina, thank you for a wonderful and peaceful amazing place. We are grateful for your helpfulness and efficiency, your service and positivity. Thanks also to everyone else who made this place like a dream and a fairytale forever to remember. Thank you for the wonderful time at the villa. We had so much fun and will recommend ypur property! We'll be back sometimes. 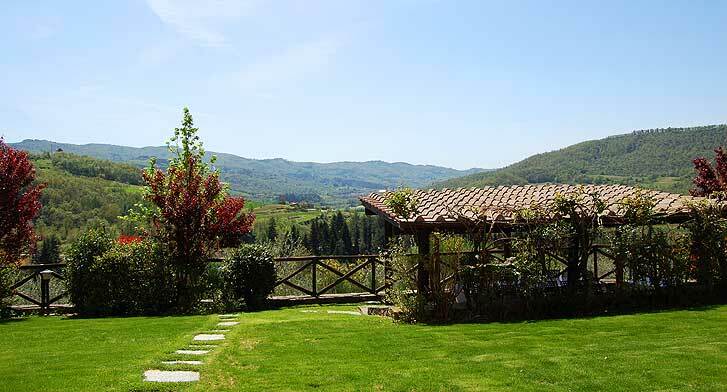 The site is wonderful : beautiful view on the valley, wild mountains. 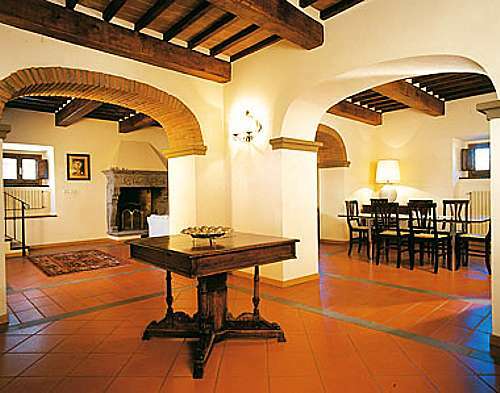 Beautiful and savage surroundings made of vineyards and olive trees, forest of oaks… a very peaceful place. 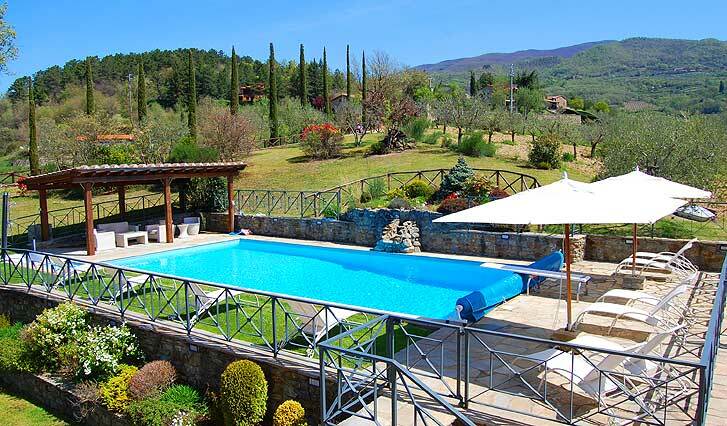 The mansion is very well equipped: the swimming pool is huge and the Jacuzzi facing the valley is memorable. 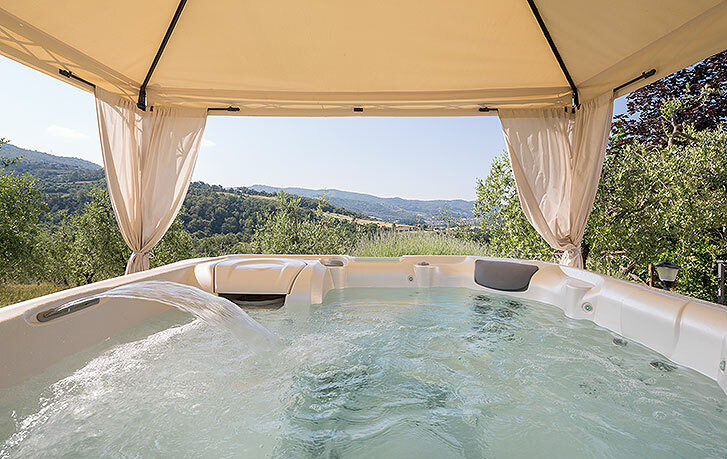 Congratulations to the owners for the quality of their cooking: another way to discover Tuscany with quality foods and wines. The 12 of us who spent a fortnight there warmly recommend this place. 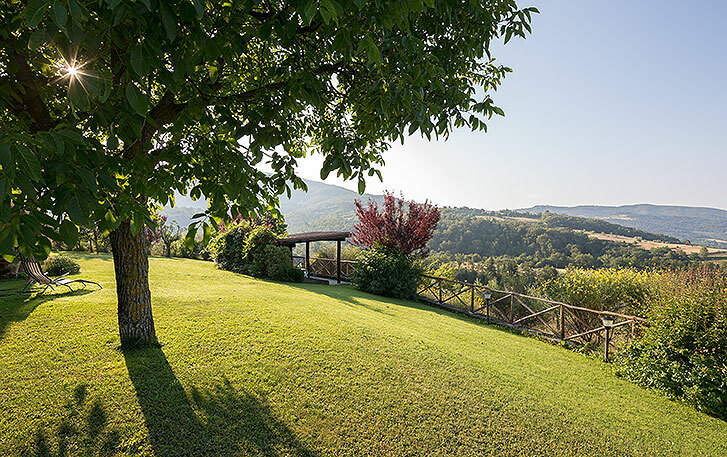 The Villa Gran Vista is set in a beautiful position overlooking olive groves, grape vines, the town of Subbiano and the gorgeous surrounding countryside. It is peaceful and tranquil. 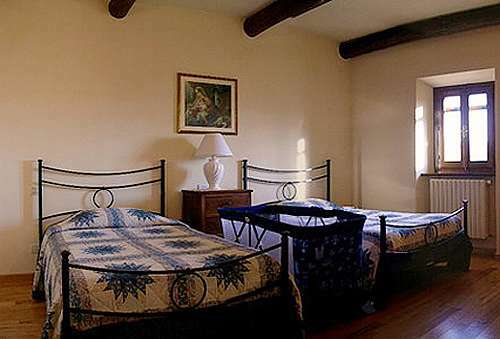 Inside the Villa, the rooms are warm, inviting and graciously decorated. 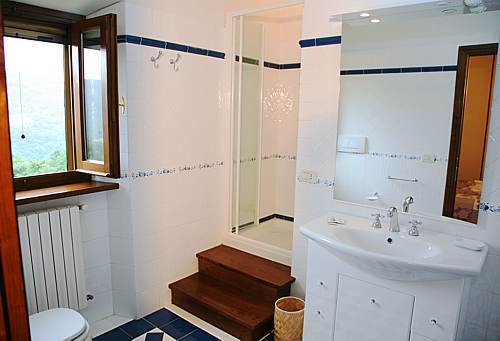 It is very clean and comfortable and affords privacy as well as communal gatherings. The owners are wonderful, very accommodating and welcoming. 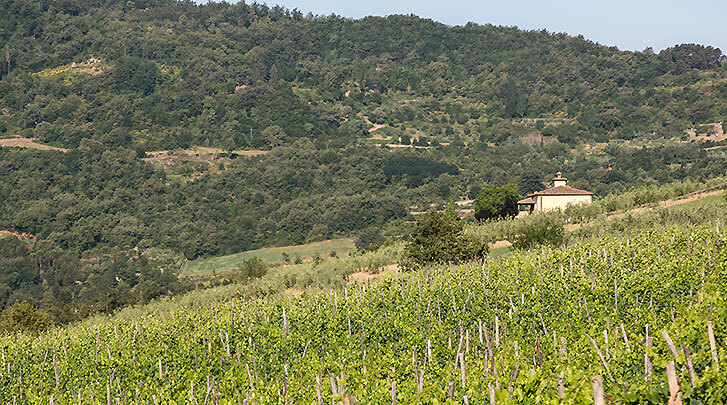 Their Chianti was delicious!Do not miss Cortona, San Gimignano, Siena, Assisi and Montelcino.